Your wedding day will be filled with cherished memories—all the better when you choose Brookside Gardens Event Center for your wedding and wedding reception venue. The professional staff takes away the stress and lets you enjoy the moment. This beautiful, spacious, and elegant secret garden offers picturesque views and wonderful amenities. Brookside provides the chairs, glass and dinnerware, and complimentary champagne for toasts. You will work personally with your dedicated event supervisor to create a memorable ceremony and wedding experience for you and your guests. 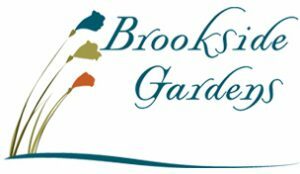 Choosing Brookside Gardens Event Center isn’t another choice on your list, but the choice that determines the rest. Call for your free, no obligation, one-on-one consultation.